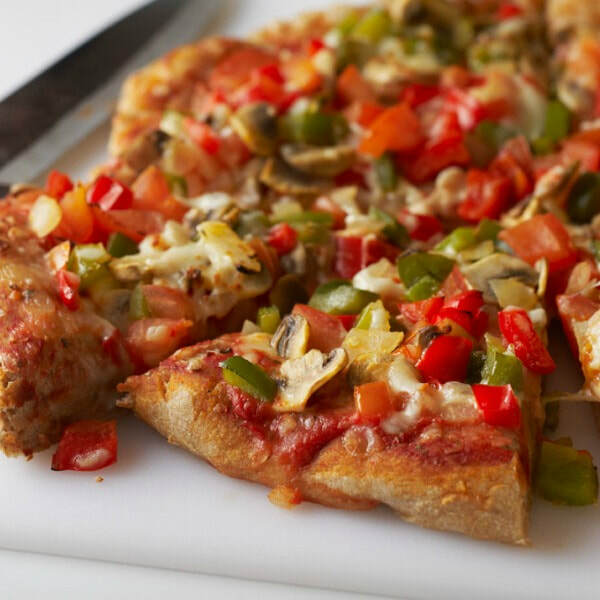 Thinking about ordering takeout pizza or heating up a frozen pie? This quick and easy single serving pizza will take the same amount of time, and is much healthier! Add even more vegetables than this recipe says to help reach your ideal daily vegetable intake. Spread tomato sauce on pita. Sprinkle various chopped vegetable over sauce. Microwave 35-45 seconds or broil in oven until cheese melts. *Nutrition information includes 1 cup of spinach and 1 cup of broccoli in analysis.